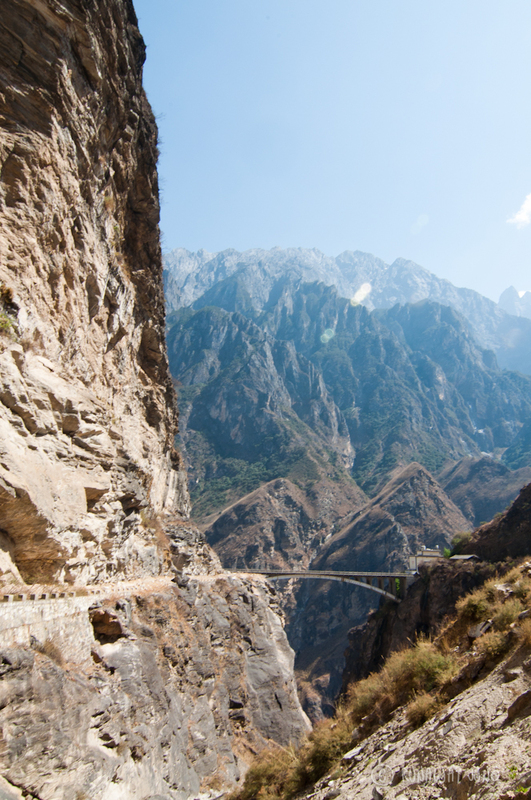 Tiger Leaping Gorge, where the tiger leaped over to the other side of the gorge a long time ago, is considered one of the best hiking trails in China. 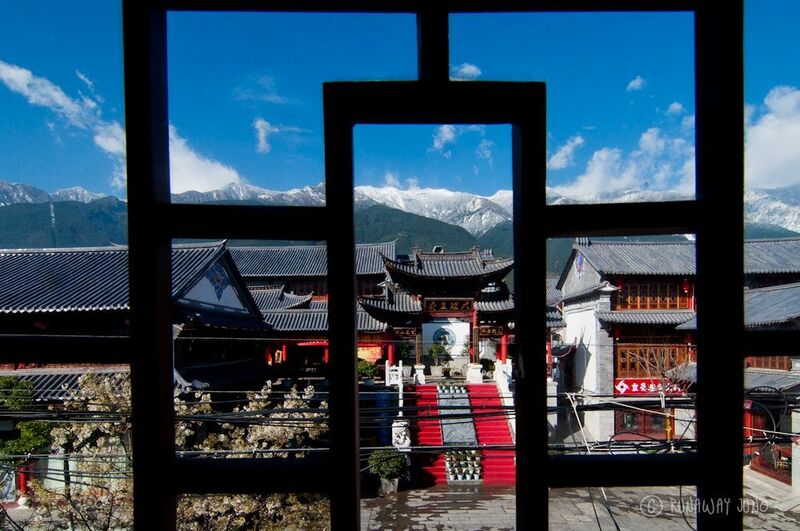 It is located 60km north from Lijiang old town, Yunnan Province. 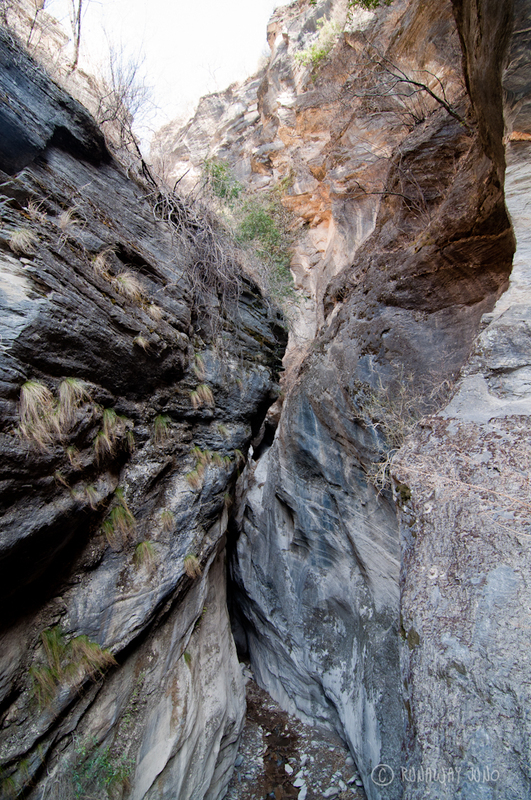 This scenic canyon is the deepest gorge in the world. 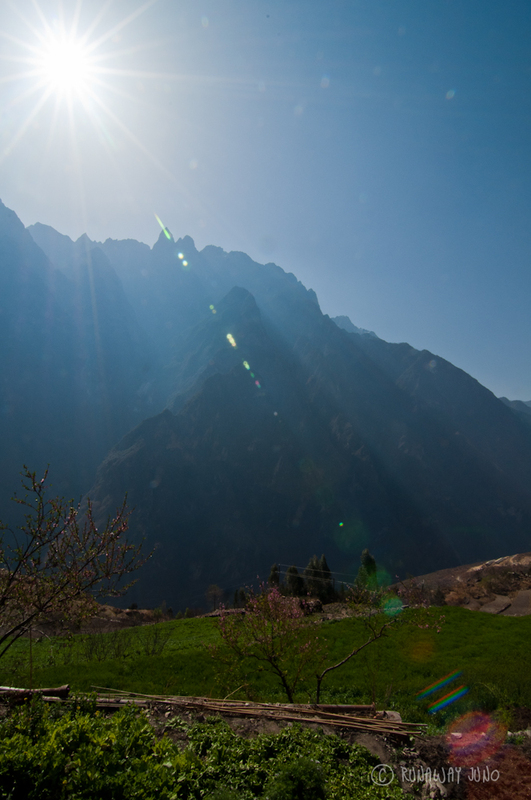 You are going to walk between Jade Dragon Snow Mountain and Huba Snow Mountain, both over 5,000 metres tall. 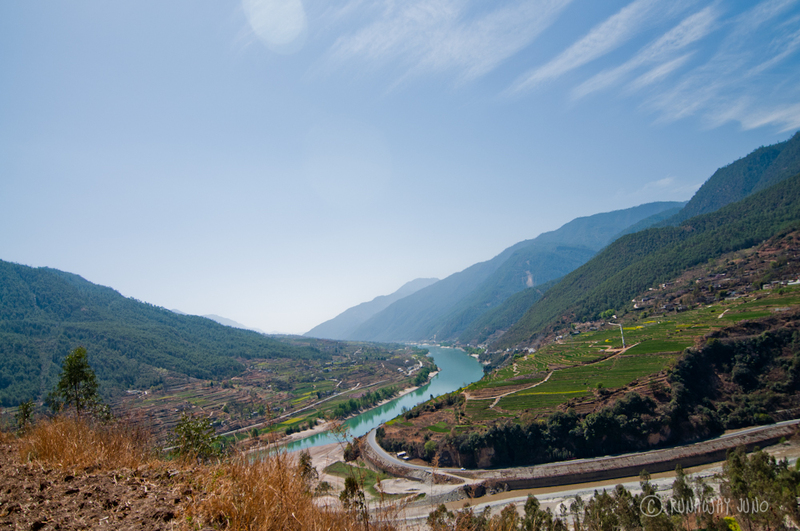 It is a not to miss experience because of its unique and magnificent view. It is a well beaten track, but there is a high risk of injury. 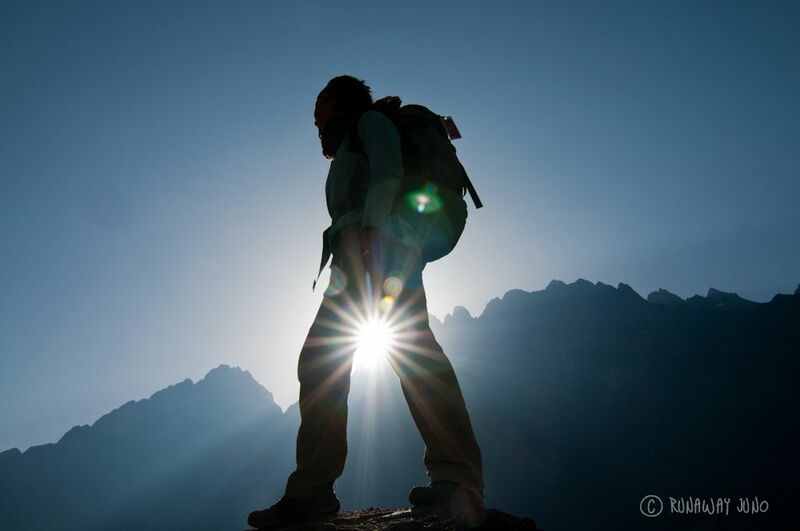 Commitment and sturdy hiking shoes need to be taken to the hiking trail. 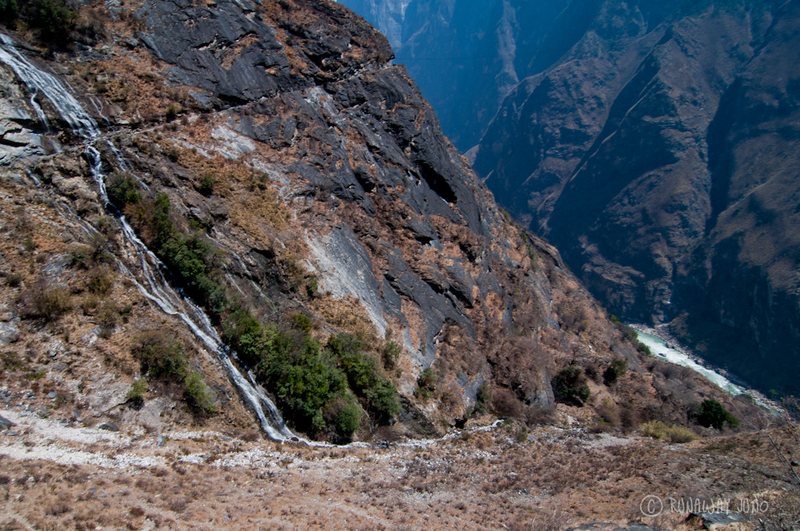 For two days while I was hiking in Tiger Leaping Gorge, I took 475 photos. 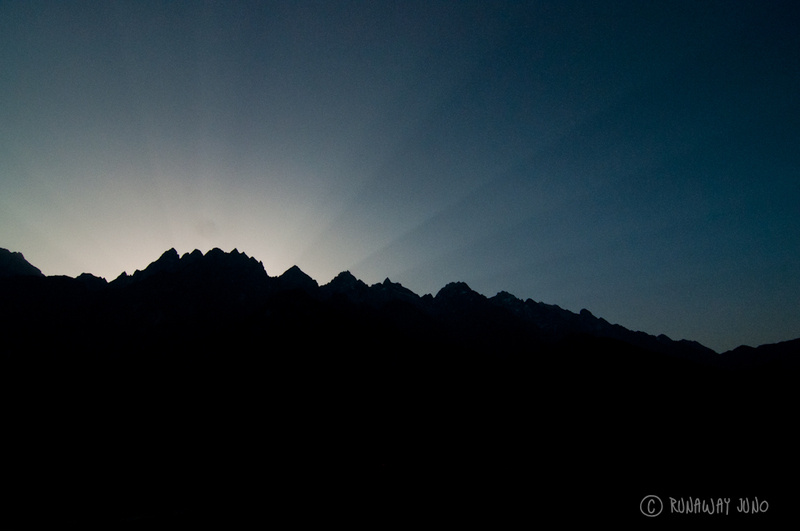 I thought of leaving the DSLR camera behind, but I’m glad I took them hiking. It was heavy but it was worth it, as you can see below. 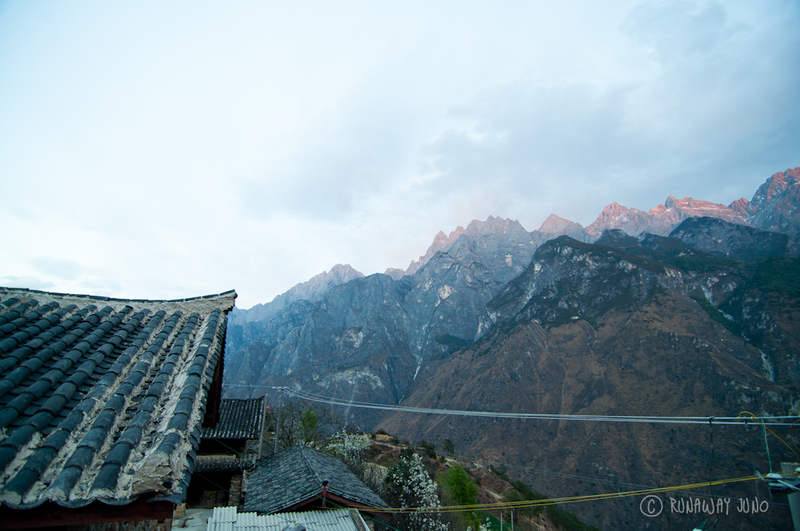 I have a lot to share about my two days hiking in Tiger Leaping Gorge. But before I say anything, I want to share some of the finest photos with you. 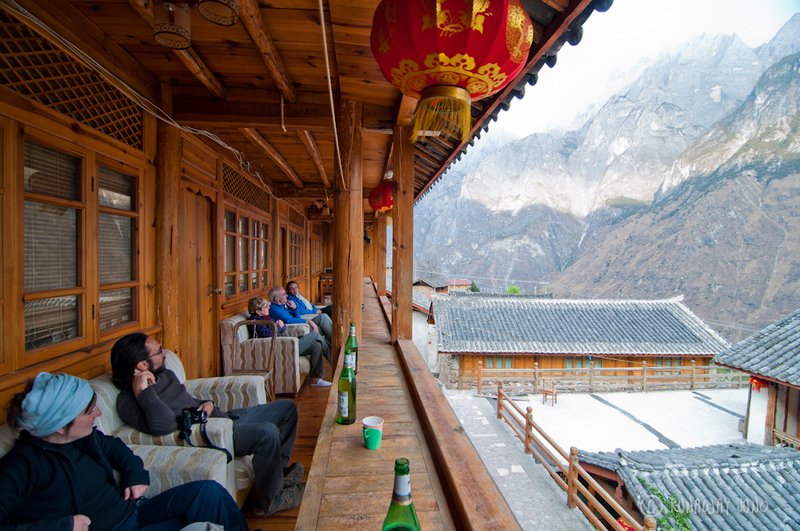 China is giving me a hard time, time to time, but I’m glad to be here when I have moments like this. 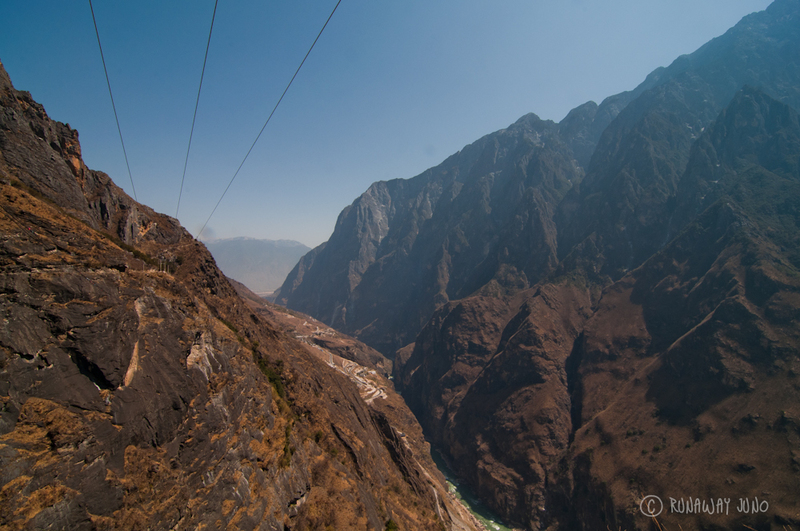 Here are photos from Tiger Leaping Gorge. Mountain Goat, they certainly know what they are doing. At the Halfwayhouse. 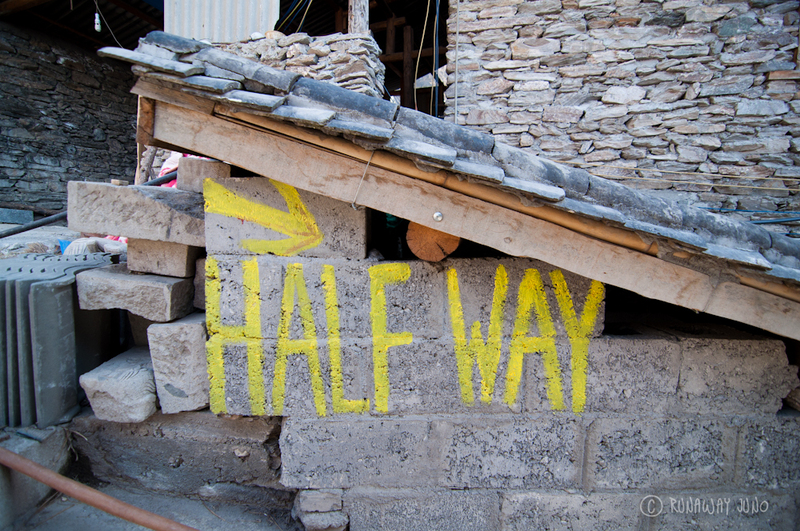 More than halfway though. Wowow-slash-오마이갓! These photos are AMAZING, Juno. I showed my bf too and he was in awe looking at them. 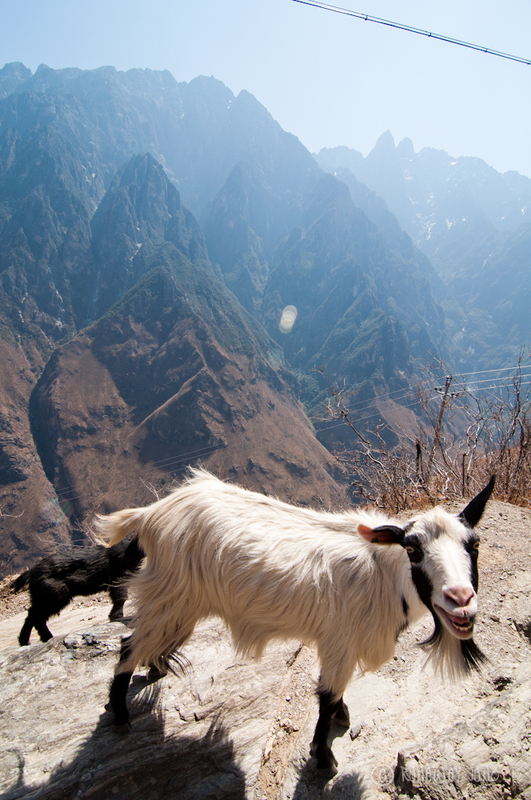 The scenery looks amazing, especially the waterfalls and despite the terrifying goat (it’s their eyes…they have rectangular pupils. Creepy.) 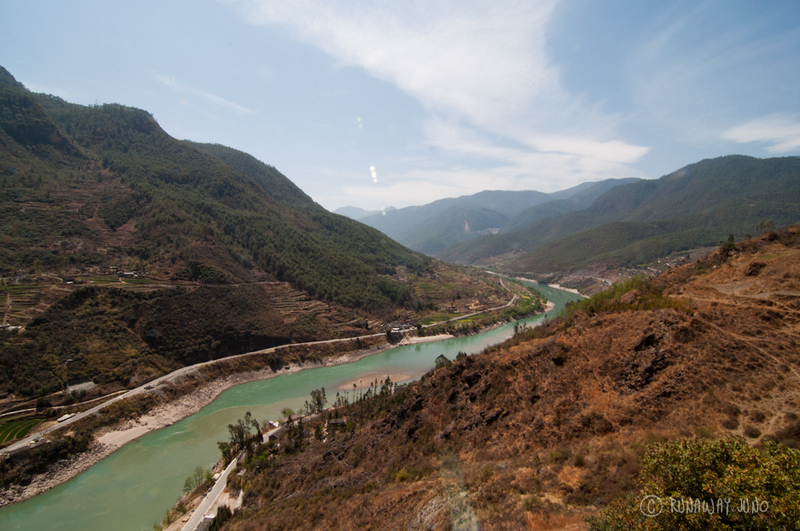 I can’t wait to see more of your photos from China. Thanks Tom! 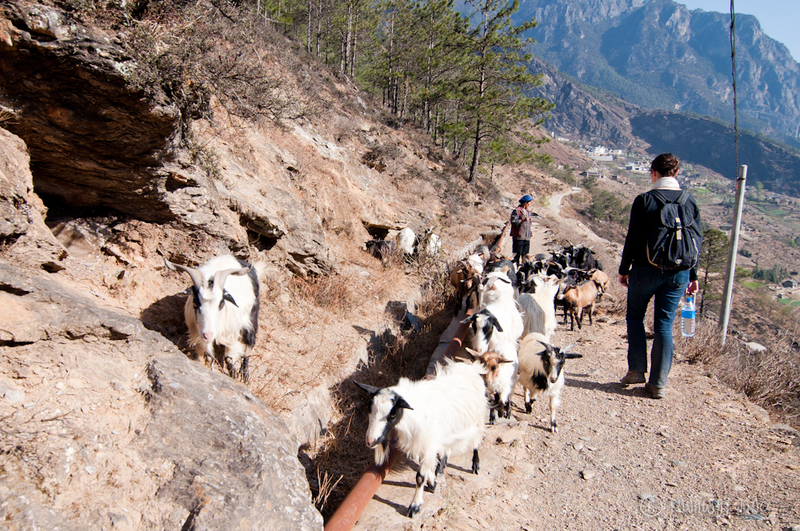 The mountain goats scared us because they were walking on the rocks on the cliff! But they knew what they were doing, I hope. 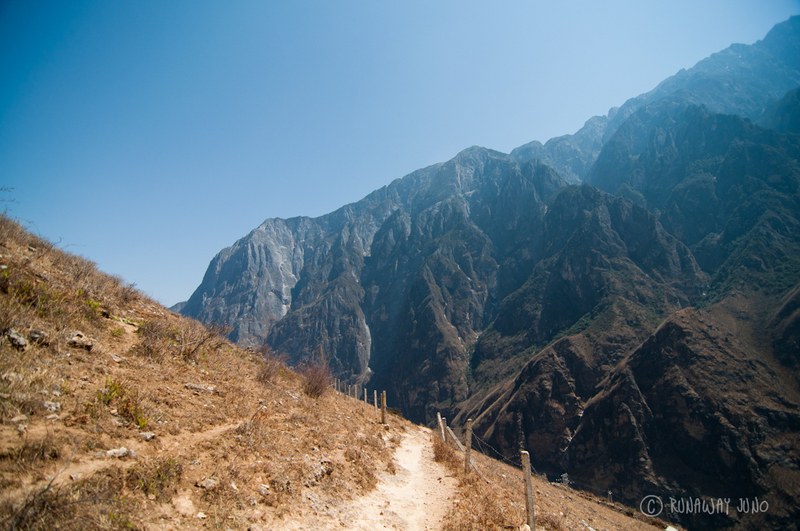 It was a great time, and I wish I could take more photos on the trial but it was actually a quite difficult hiking. Thanks! Yeah, I couldn’t believe it either. And we even met a group of people who were delivering a big generator to the village, by hands! Crazy… And the view is magnificent. 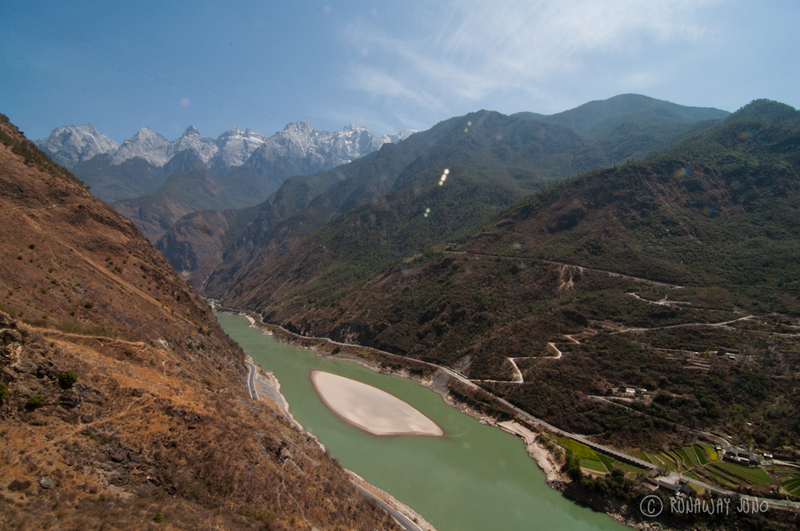 I hadn’t heard of Tiger Leaping Gorge before, but it does look positively amazing. Looks like I just got another reason to visit China now. Oh the Philippines… I really want to go there. Maybe see you there? 🙂 Yeah we’ll try to find the lady. We only have a month in vietnam, so we might have to go back to explore more! 🙂 Hope things are alright in Taiwan! Beautiful pictures! 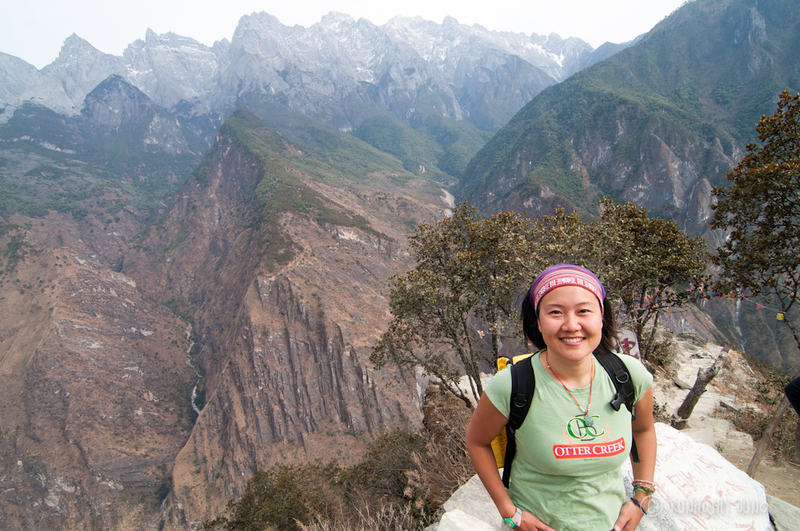 I’ve wanted to hike Tiger Leaping Gorge for years now. You just made me want to go even more! It’s so weird looking at these pictures and remembering it exactly how it was. 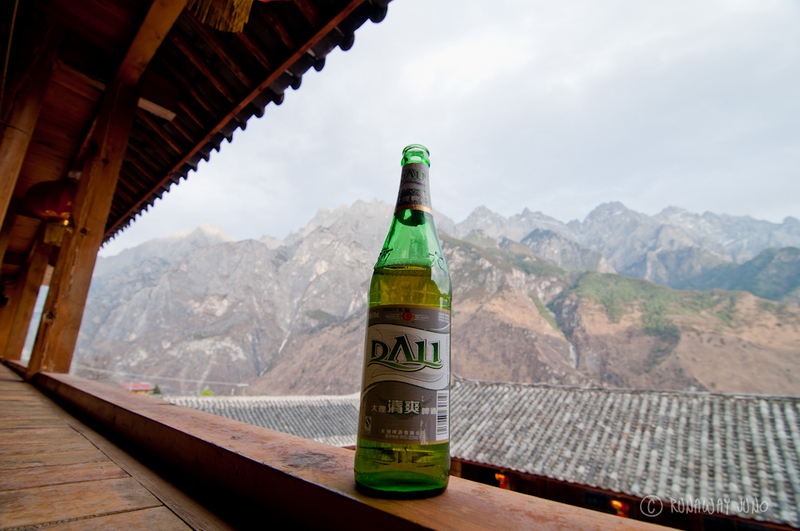 I sat at that same exact table and saw those red lights from the mountains as well. 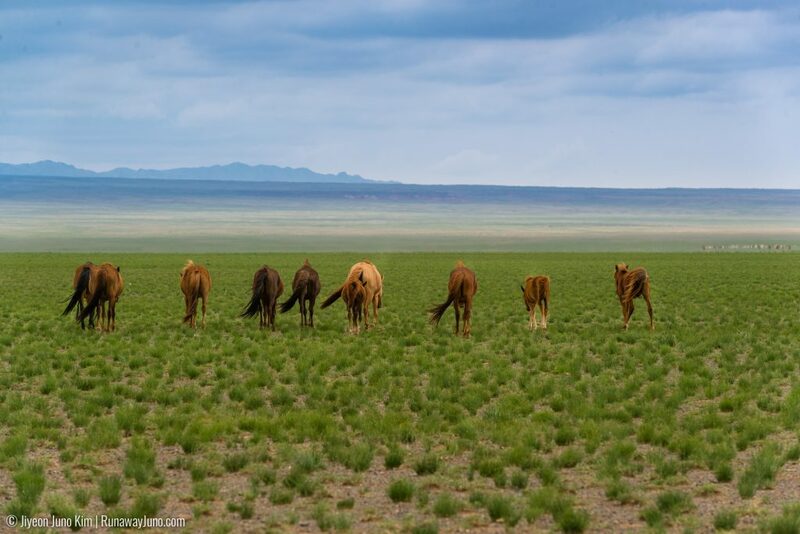 Did you stay at the Horsetrail guesthouse too? It was a good place! 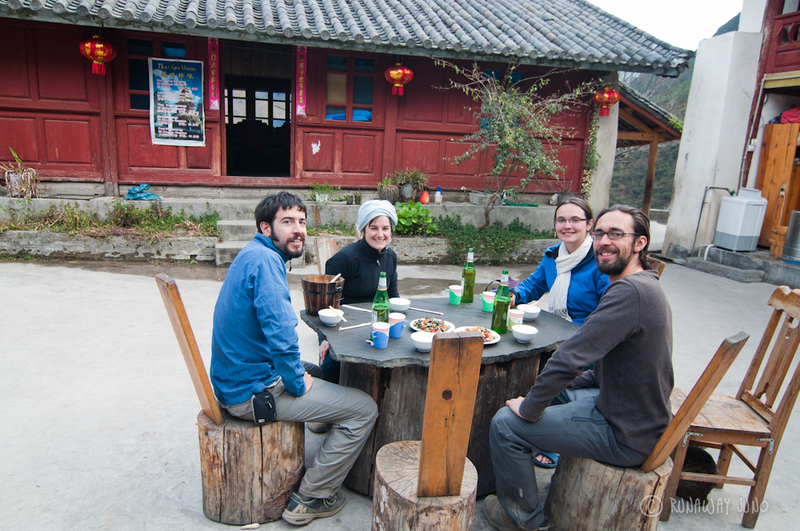 And their food was amazing – and I know part of it is because we were hiking for 5 hours. 🙂 Great place.. inspiring views! Amazing Juno! 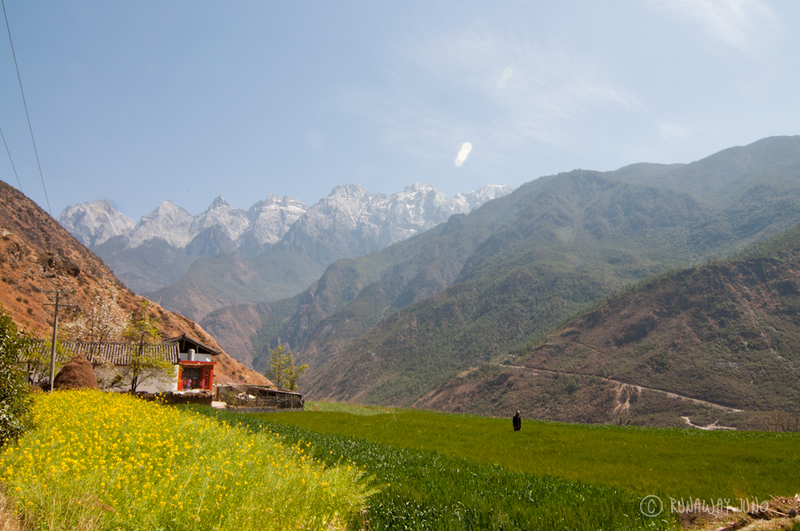 That’s such an incredible view (and place to eat a meal) from your guest house! That goat photo had me laughing out loud! Seriously though the trek looks amazing and I’d love to do it one day! Now I am really jealous! 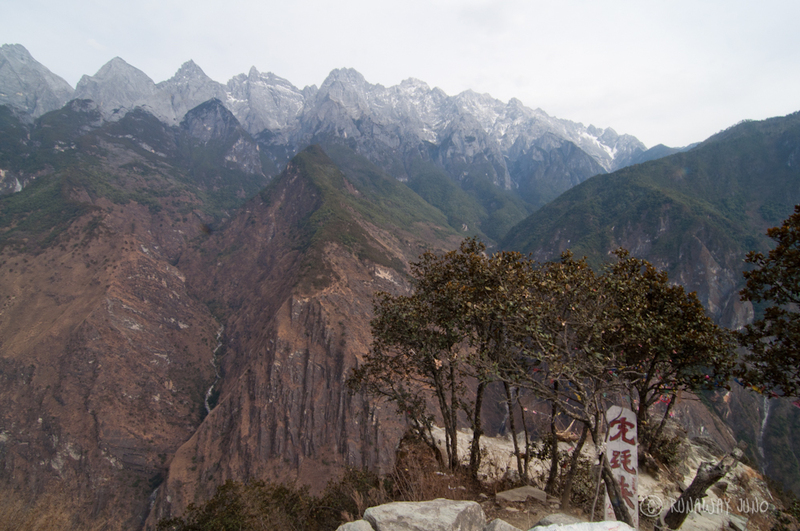 When got to the Tiger Leaping Gorge trail head a few years ago it was closed due to heavy rains and landslides and I didn’t get to hike it. Oh no… that’s too bad! Gladly we had such a nice day. Are you going back anytime soon? 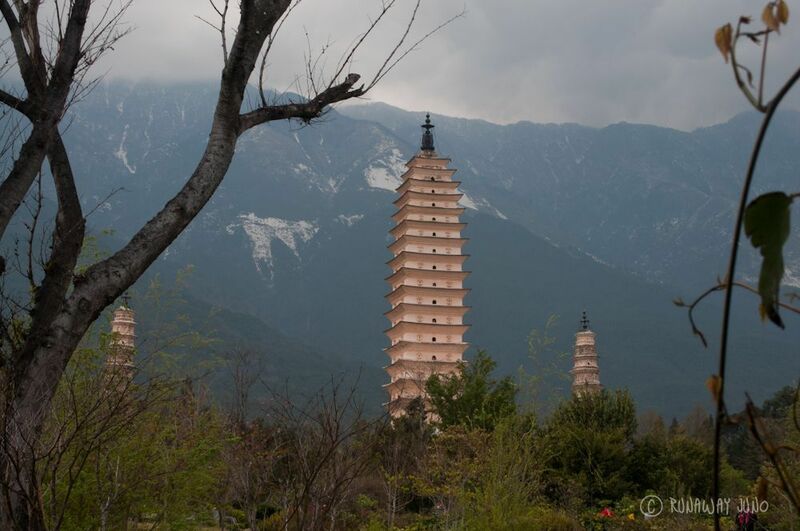 hi, really cool pictures…heading to kunming this friday. 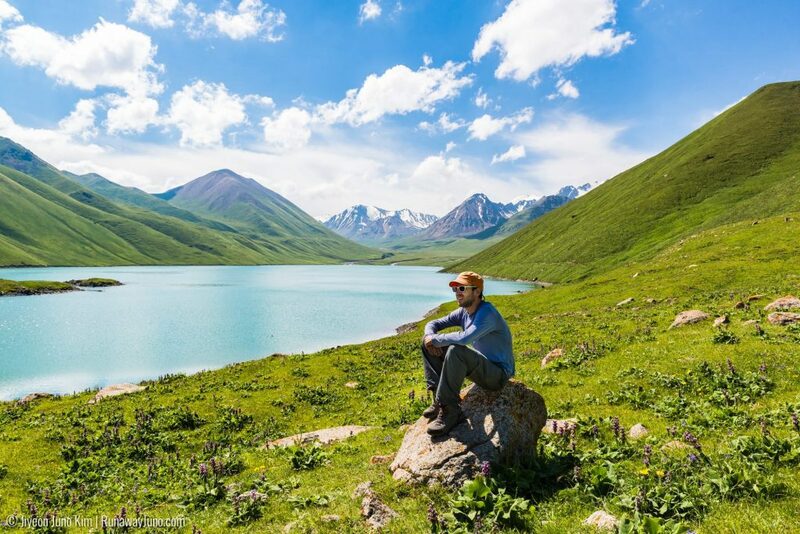 where and how did you book/organize this hike? Hi George, glad to hear that you are heading there! Actually you don’t need to organize it if you don’t need any guide to take you there. Most of the guesthouses or hostels will have informations about the bus and the accommodations. I’m sure there are few people will go hiking at the same time as you too. 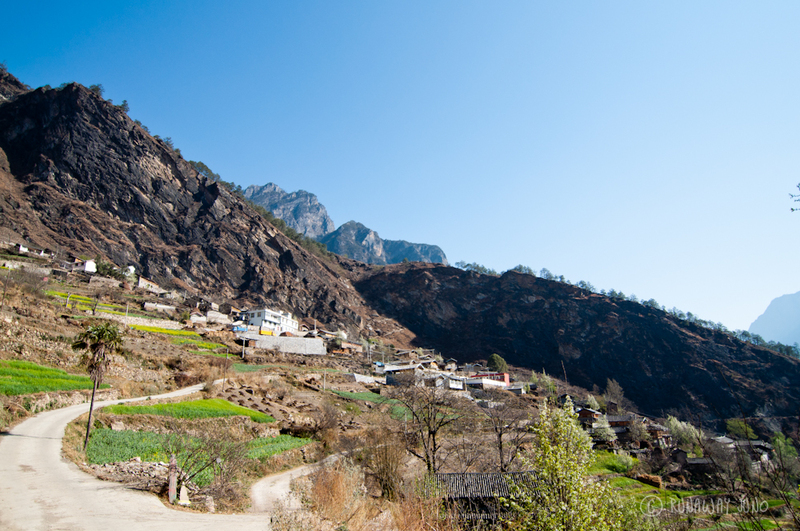 If you want two days hike (the most popular one), just get to Quitou, and start hiking. Ask your accommodation for the information! Good luck! Sounds like an amazing experience. And what great photos! 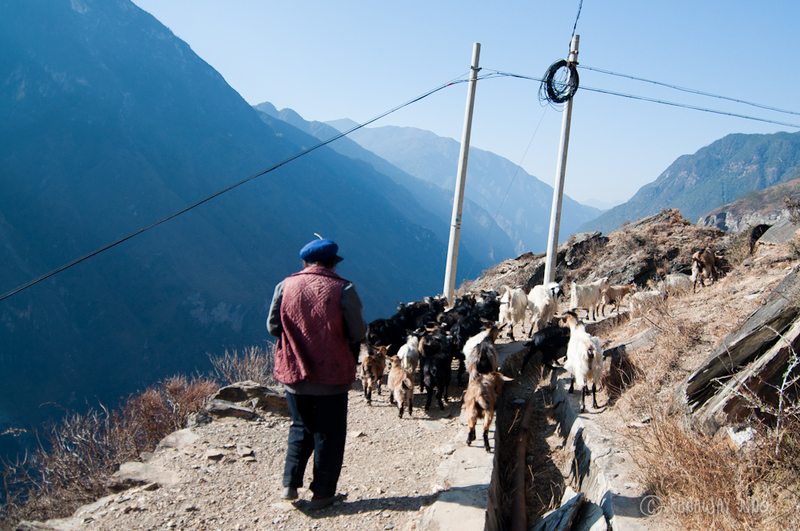 Even the mountain goats look happy. I’m sure it must be an exhilarating hike and thrilling when you finish. Oh my. I always feel envious with travelers. Anyway, I am looking forward for my big break and experience a similar adventure. Your photos are just amazing. I feel so much appreciation on nature’s beauty by looking at them. Awesome photos, Juno! It was an absolutely great hike the whole way. Excellent views. Was fun sharing the experience with you! Me too! It was a great hike! I thought it was going to be harder but it was actually easier than I thought. Thank god! Wow, wow, wow! Beautiful and amazing. I MUST go there someday. Thanks for the inspiration. 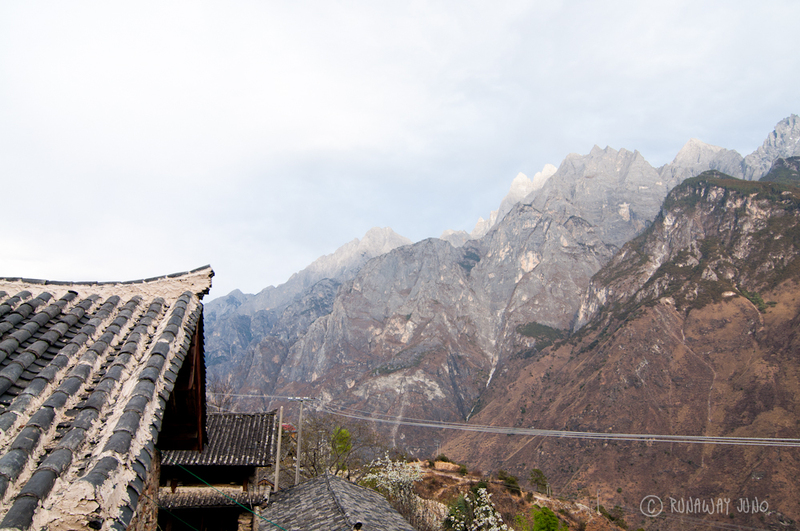 Tiger Leaping Gorge is on my when I return to China list of things to do. Good! Hope you make it! It was a great experience. Highly recommended. Really wonderful photos shared by you. Tiger George is one of my favorite hiking spot when we are on vacation. I always love to see the sunset. All the pics are great, but the first one is stunning & just awesome! Love it! 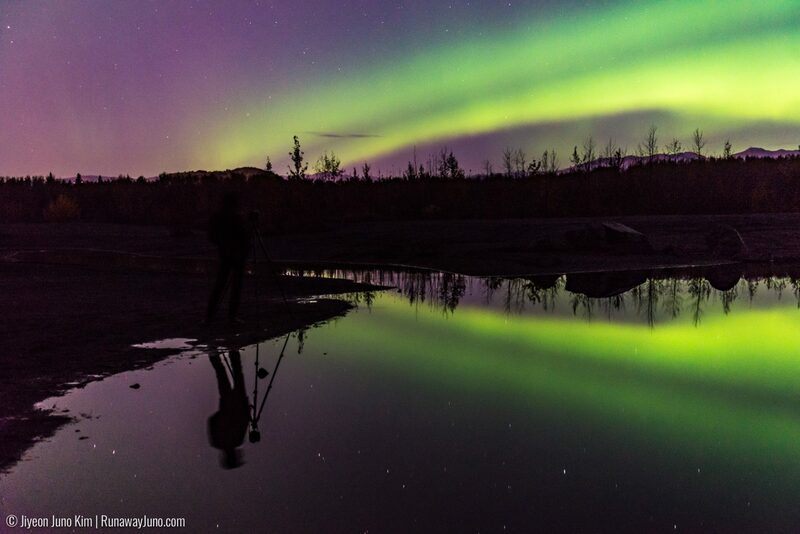 Awesome views and stunning photos! 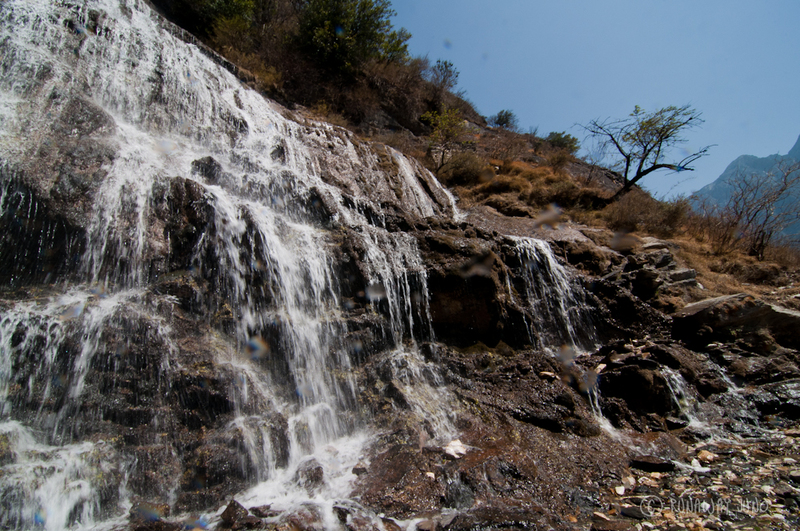 It is very worth to hike along the tiger leaping gorges, normally 2 days and stay in the local guesthouse along the way. 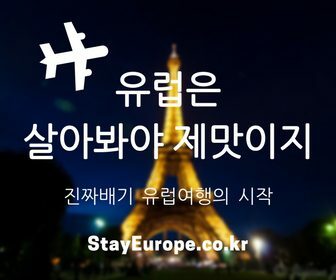 Really unique travel experience will be! Keep traveling and see the world. My husband and I have been traveling together for almost 50 years and we are still going strong ! !